Dr Peter Keizers is a scientist in the Centre for Health Protection at RIVM, the Dutch National Institute for Public Health and the Environment based in Bilthoven. As a chemist, he investigates (illegal) drugs, medical devices and other medicinal products. His group studies the composition of these products and specifically look for active pharmaceutical ingredients, preferably in a quantitative way. HTBLA Wels is a higher technical vocational college of chemistry in Austria. Here, Dr Harald Baumgartner is responsible for the instrumental analytical laboratory. The lab’s main focus is to teach students the basics of NMR (interpretation of spectra). Wageningen University & Research (WUR) is formed from the collaboration between Wageningen University and the Wageningen Research foundation. With the mission “to explore the potential of nature to improve the quality of life,” its staff and students work in the domain of healthy foods and living environments. Dr Teris van Beek is a Lecturer in the Department of Agrotechnology & Food Sciences. Among his responsibilities is the coordination of the undergraduate course in analytical chemistry where 220 molecular life sciences and biotechnology students are introduced to practical spectroscopy each year (UV, IR, MS, NMR, structure elucidation). 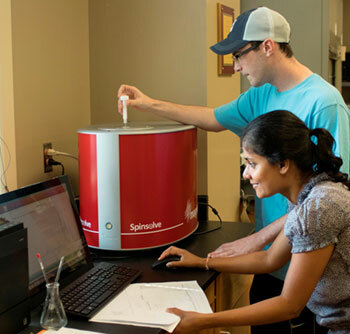 Spinsolve has become the most popular among faculty and students of our chemistry program. 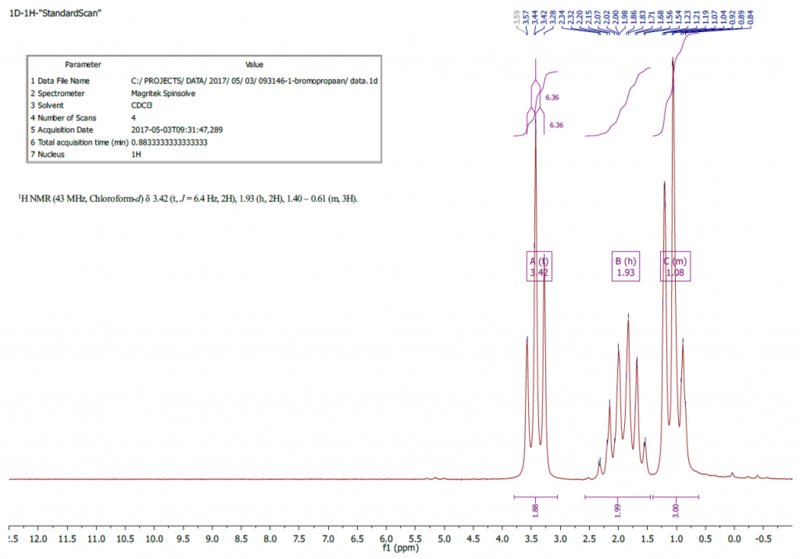 It is used in organic chemistry, instrumental analysis, and advanced inorganic chemistry laboratories. We plan to extend the usage to other areas too. Students have become very interested in the concept of NMR because of this instrument. Their knowledge of NMR is improved tremendously after the incorporation of Spinsolve in the chemistry program. It is easy to operate, provides quick analysis, and requires very low maintenance. Spinsolve is definitely the best fit for a small college like ours. We formerly had a cryogenic NMR spectrometer at Lyon but the chemistry program has not been able to maintain the instrument in the long term. 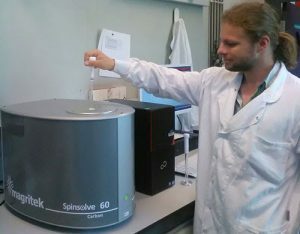 Spinsolve is low cost and its low maintenance is key for its great fit to Lyon chemistry program. It is also used in recruiting keen students as they get really excited about the instrument and its capabilities during frequent campus tours. 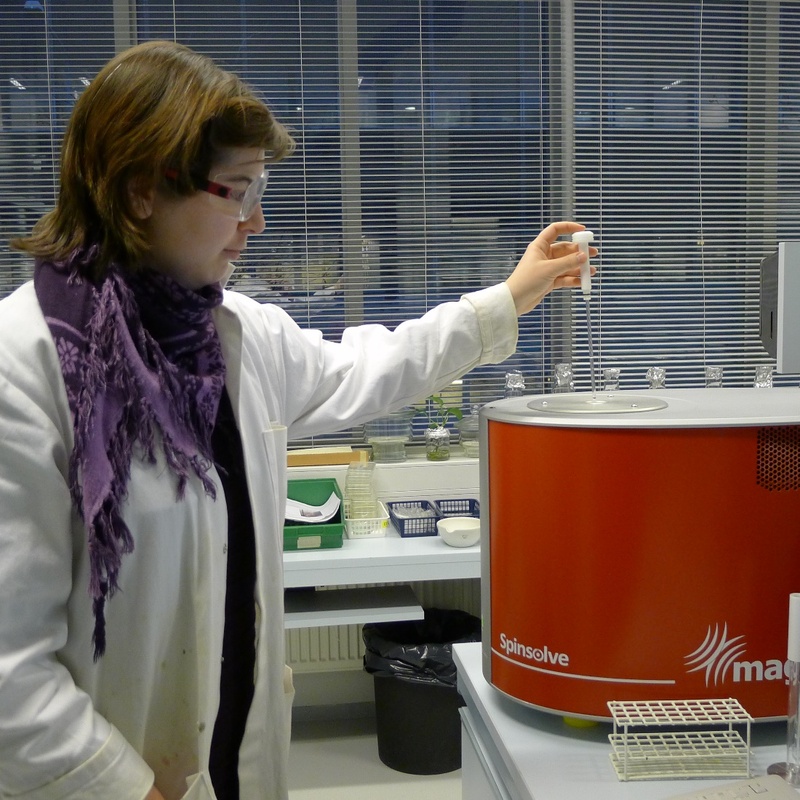 Dr Leena Kaisalo heads up the Organic Chemistry student laboratory at the University of Helsinki. 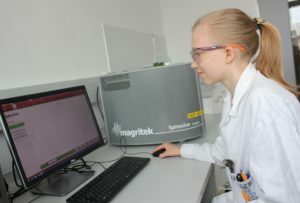 While the Laboratory’s research focuses on organic synthesis, Dr Kaisalo’s role is to lead the teaching of bachelor and masters students in various analytical techniques including NMR. 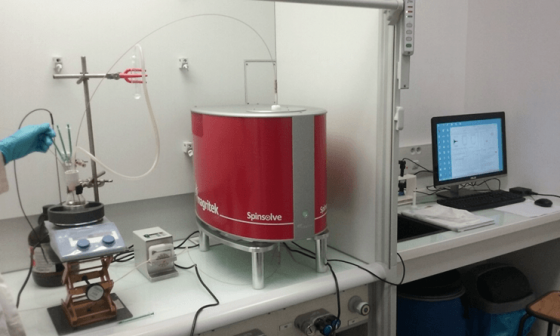 A fascinating thought leader interview with Prof Patrick Giraudeau from the University of Nantes discusses how his group uses their Spinsolve benchtop NMR spectrometer for applications such as reaction monitoring, edible oil analysis and implementing ultrafast 2D NMR. 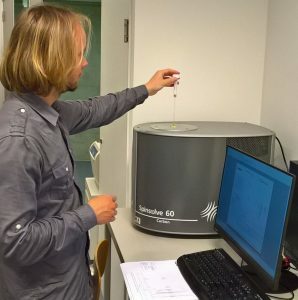 Dr Jeroen Geuens is a member of the Centre of Expertise on Sustainable Chemistry (CESC) based in Antwerp at the Karel de Grote University College. The Centre specialises in research and services related to chemical and production processes together with offering professional degree courses. 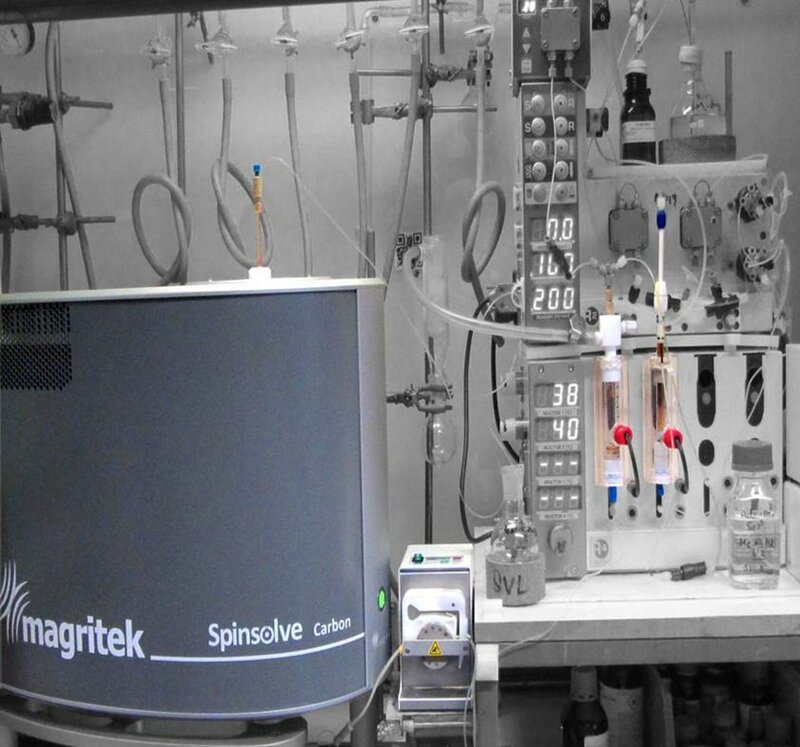 Before discovering the Spinsolve benchtop NMR from Magritek they could only get access to NMR measurements by taking their samples to the University of Antwerp. The Spinsolve is now used continuously for both teaching and research in the CESC. Dr Geuens takes up the story.